Not sure in what version it changed but it no longer applies the button position property – see attached screenshot. 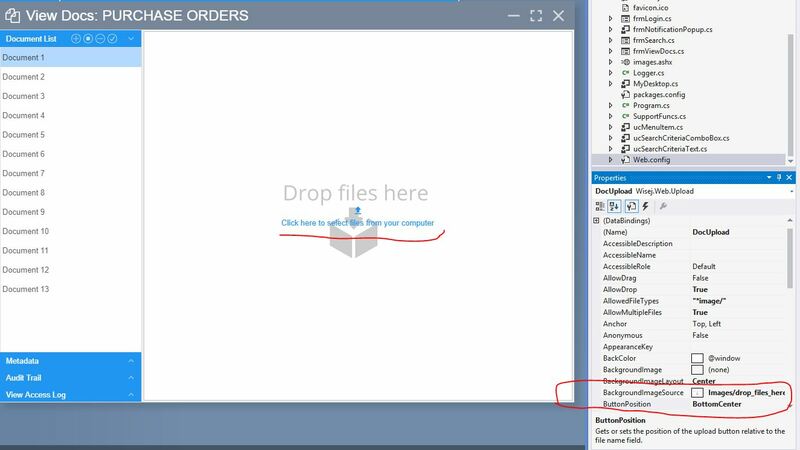 When we first deployed the application 2 months ago it would show the button/link to open the file selector at the bottom of the window – now it always shows it in the enter no matter what. Didn’t change. The ButtonPosition property is not related to the parent container, it’s sets the position of the upload button relative to the file name field. I just tried the different positions and they all work. 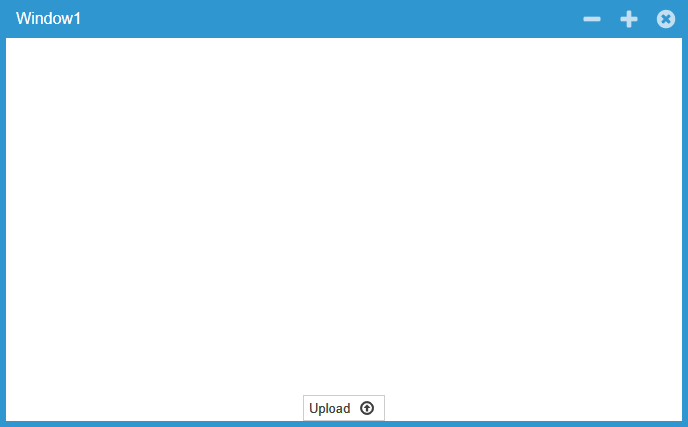 To show the Upload control at the bottom of the container you need to set the docking or anchoring or location. Can you attach a reproducible app showing the code you are using? Tried that too, works. Maybe it’s something fixed in our build. If you send a repro test case I can make sure.